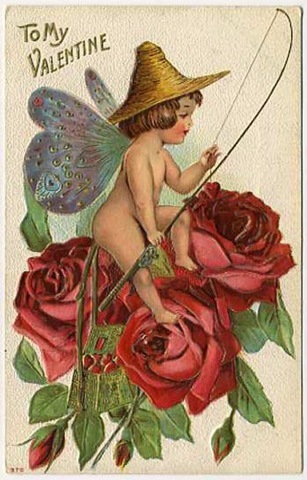 Homespun Stitchworks..... For the love of vintage: Beauty made one stitch at a time! Oh what a blustery, cold and wet day out there! not a little bird to be seen - all still tucked in their nests and holding on tightly I would imagine, poor little things. I braved it out there to check on their feeders and to put more on the covered bird table. As yet there are no takers. Well this week is a very busy one indeed. I have a meeting with the printer to see my first design come off the press tomorrow and I am beyond excited. I have worked very hard to bring these first series of kits to fruition and I am happy to tell you they are a series of four. Each one sold separately and only 40 of each design. I am making them exclusive and will not be re printed. Each kit will contain a piece of Antique French linen to stitch it on to and the cutting of the sheets has begun in earnest! Each kit will be in a box and wrapped beautifully and I really hope you all will enjoy the slow stitching kits that I am producing. As asked we have started with smaller designs and as I say the first one is part of a four collection. You could choose to purchase all four or choose your favourite. As soon as they are ready I will know prices etc but at this moment in time I have not sorted it all out just yet. The printer only gave me a ball park figure until he figured out how to run each design. All my other projects are on hold for a week and I feel I have not picked up a needle in far too long, although I am going to have to stitch each design so it can be photographed for each box. Wish me luck I can see very long days ahead for a few weeks. I have already designed more for after these have gone and some are a little bigger but not huge right now. The designs can then be added to things or framed the choice will be yours. 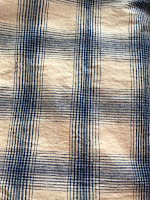 The bi product of purchasing lots of antique French linen sheets is that there are monograms and some are of S and A so I am thrilled but I will be selling off the others that I do not need. In addition to this there will be some vintage fabric inspiration boxes being made up with pieces of gorgeous paisleys, eiderdown and other delicious fabrics with some mother of pearl buttons as well. I had a wonderful time at the pop up Spring antique and costume fair in Lydeard St Lawrence near Taunton on Saturday and it was wonderful to catch up with some wonderful friends. Liz and Jack were the hosts but I bumped into the lovely Sue Meager of Vintage to Victorian as well and we were able to have a good old catch up. In addition I met up with Julie who I met through my blog and has become a dear friend .... it really was a great day indeed. These kind of vintage events are almost like get like a social event too. Everyone chatting and talking and even if you did not actually know some one it did not matter everybody was friendly, laughing and happy. There were buttons, vintage embroidery transfers, clothes, shoes, threads, cottons, fabrics by pile after beautiful heart stopping pile and so much more! There were lots of people wandering around this lovely country village hall and it was heated and had music going in the background. There was so much to see and purchase and some gorgeous linens from France too. 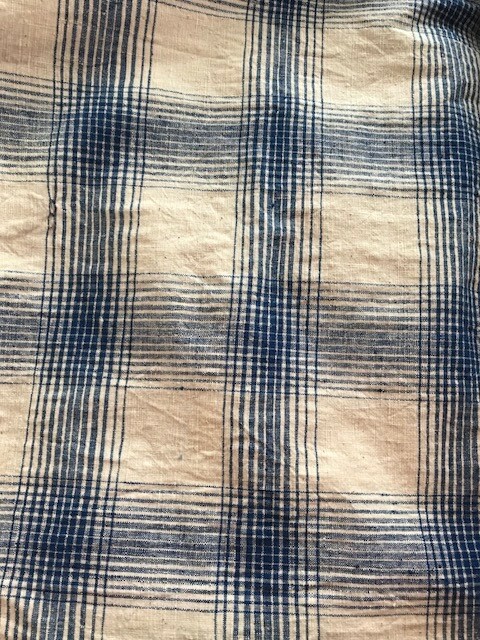 I bought a bolt of blue and white linen ( Eastern European) and I will be selling what I do not need off. It will be sold by the metre if anyone is interested. There will be probably 6 metres up for grabs ... It is around 21/22 inches in width. Its age is 1930 or possibly earlier but certainly not later than that. Then we went to our friends cottage in Devon and he put on a dinner party for us and other friends and we stayed over on Saturday evening. We had a wonderful evening and it meant no driving home. Although our friend had been with us all week we up and moved our camp to his cottage for an evening and a lovely Sunday. In the morning when we woke up it was snowing! now how pleased dear reader do you think I was ...... I was running from room to room in the cottage and I felt like I was a child again. I could not contain myself for long and showered, got dressed and headed out into the snow and had a walk through his woods and also picked myself some snowdrops that he said I could collect. I was covered in snow in my hair and on my shawl ... cold a little yes but oh so very happy. Well that is it for today as I really must be off and continue my day. I will be back here on Thursday morning as bright and as early as possible. I hope you all have some pancakes tonight as its pancake day and of course have a wonderful Valentines evening. We are going to light the fire and cuddle up with some wine and something warming that I am going to be cooking. There is however gravalax and champagne to start! You sound like me when it snows. I think we're all children at heart! I think if we have a young outlook on life forever we stay younger! It was so lovely to meet up on Saturday.. Thank you Lynn, yes it is exciting and frightening all rolled into one! fingers crossed. Gosh I am so behind with even answering people on here too, please forgive me.. I love snow, It maybe that if it was there all the time every year like clock work I would not - But I seriously doubt it!! I am a child at heart and always will be. It was a pleasure and I thoroughly enjoyed being there and catching up with dear friends. I am looking forward to the VB as well as our little over night adventure!